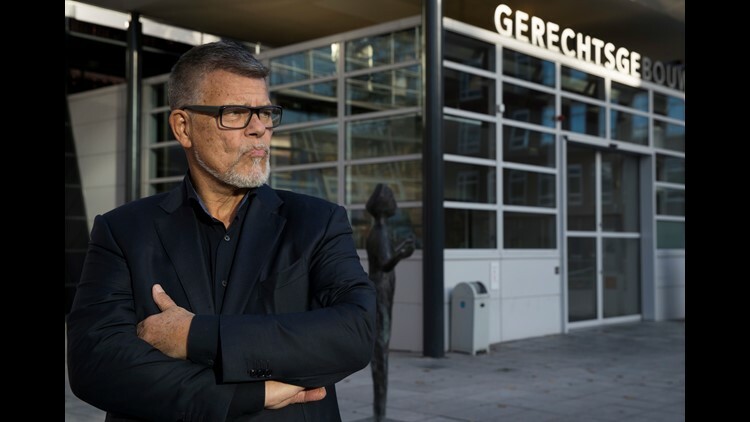 A Dutchman has asked a court in the Netherlands to legally change his age from 69 to 49, saying he wants to avoid age discrimination. Emile Ratelband, a "positivity trainer" who has called himself a "young god," has asked a local court to shift his birthday from March 11, 1949 to March 11,1969, the BBC reports. Ratelband, a TV personality who answered questions from the Associated Press on Thursday, says the petition is not a publicity stunt. He said he would give up his monthly pension if his request is granted. Ratelband says his age is unfairly holding him back, but he doesn't want to lie about it. "So when I ask for a mortgage, for example, they say it's impossible," he said. "If I go on Tinder, then I get women from 68, 69 when women are there." He's spoken repeatedly about the impact of age on his dating prospects. "When I'm on Tinder and it says I'm 69, I don't get an answer. When I'm 49, with the face I have, I will be in a luxurious position," he said, the BBC reports. Ratelband has compared the request to legally changing a name or gender. "With this free(dom) of choice, choice of name, freeness of gender, I want to have my own age. I want to control myself," he said. Having his age legally changed would offer him inspiration and hope, he said. While age discrimination can be a problem, it is unlike other forms of discrimination that can affect people throughout their whole lives, according to Marjolein van den Brink, who specializes in human rights and gender issues at Utrecht University's law school. A court is expected to issue a ruling in about four weeks.